While others were battling with drumsticks and chicken wings, i spent my Christmas Day making Pom Pom earrings and it was absolutely worth it! I was going to buy this on asos but when I calculated the price and shipping fee as its not up to $20 I decided to make it myself from things I already own without spending a dime and you know I gotta share how I made it here because showing that being stylish doesn’t have to cost an arm and leg is my thing. * Old long earrings (or a new long earring you hate like how I didn’t like the style of this one my mum bought me). * A pair of sharp scissors. * If your earrings are like mine you’d have to detach the loops at the bottom. * Cut out two equal pieces from your fabric of choice. * Take one piece of fabric, apply glue over the back side and roll it into a ball to keep it secured then with the needle and thread sew it in place. Repeat for second piece of fabric. 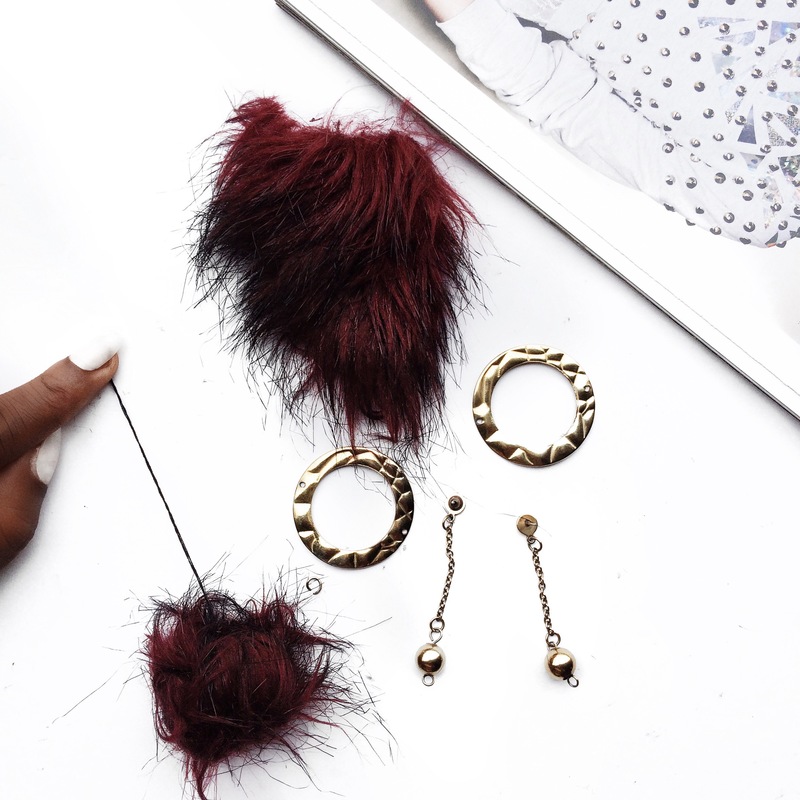 * With the needle and thread, attach your fluffy balls to the bottom of each earring. 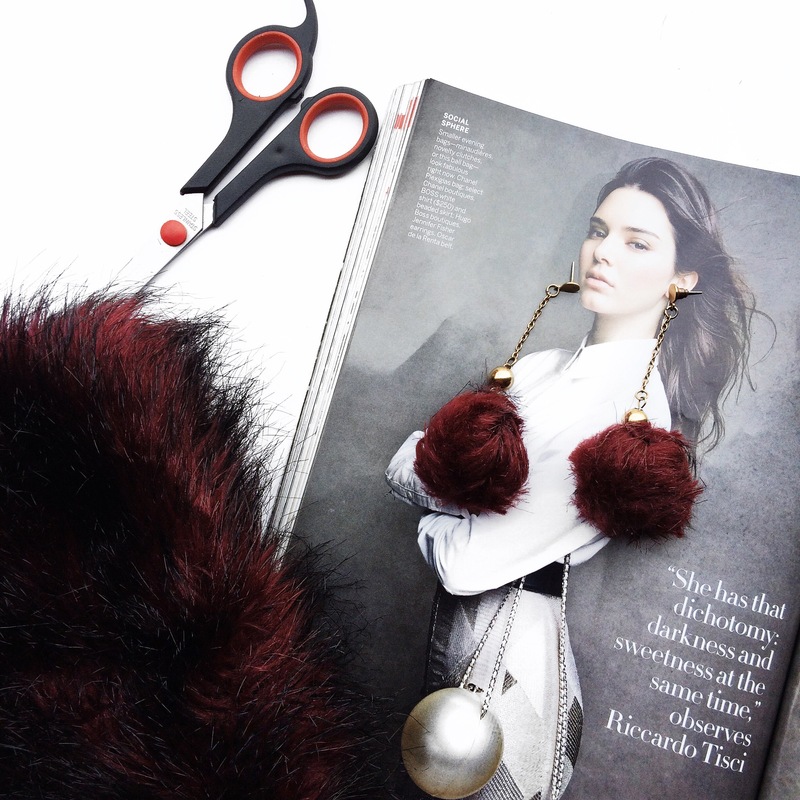 * With your scissors, trim the PomPoms into a nice desirable shape. 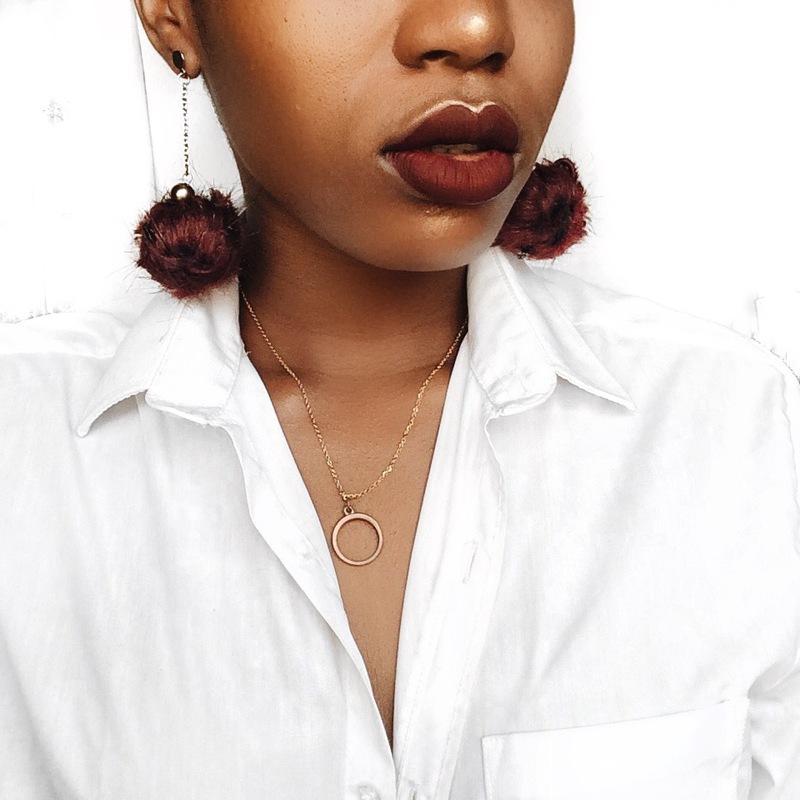 * Lastly, wear your earrings, go forth and SLAYYYYYY. 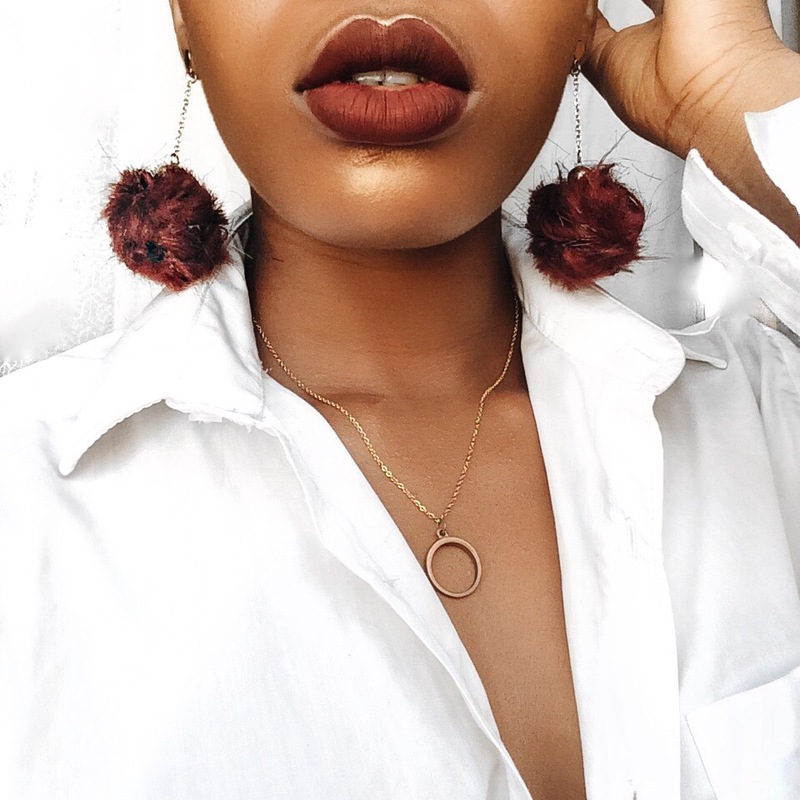 I’ve been wearing this earring non stop since I made it (confession : I wore it to bed on the first night lol) and it’s still as beautiful as the first time I wore it so these steps are tested and trusted. I hope you find this tutorial easy to do and give it a trial. 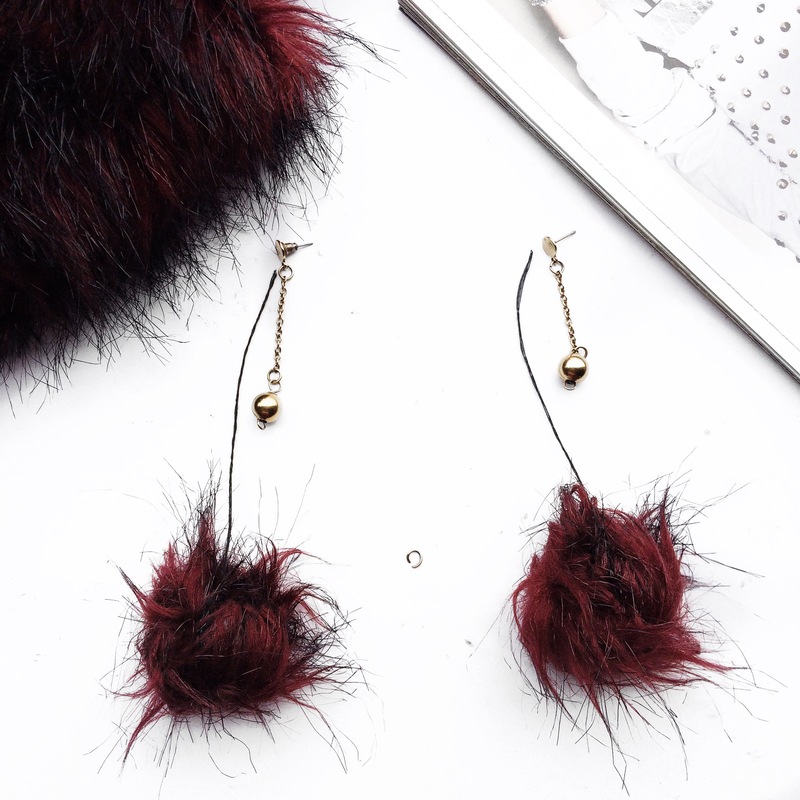 What’s your take on the PomPom earrings? Would you give this DIY a try? How will you style this? Looking forward to your replies. 2016 IN A LOOK + A GIVEAWAY. This is beautiful. But I’m too lazy to try it out, I think you should consider selling some of these DIY things you do for lazy people like myself. I am definitely making mine!!! I have always wanted tassel pair of earrings but this is even better, i love the colour btw!! You go girl!!! Can’t wait to see yours. Lovely! I’m definitely going to give this a try. Super creative!! Those are so cute! Thank you so much Seyi. I’d absolutely love to see how yours look!! Thanks for leaving a reply dear. You’re so creative, this is lovely. The color is everything! 😍 Definitely doing this as I have restless hands too. I hope it comes out good. Thank you Mercy, I hope so too!!! Very easy to do babe you’d love it. Really nice idea and easy to do, will try it!